What happened to California? Welcome to New Renard in the year 2052. 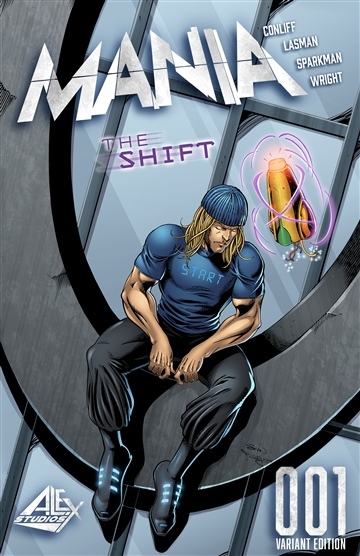 MANIA is a brand new science fiction story where Alex, a human-robot hybrid must unite a team of societal outcasts in order to take down The Fahrenheit Corporation, a technology conglomerate that threatens to end their way of life. Join us and dive into the mystery. Every panel is a painting, and every page is part of the puzzle.